Fantastic Friday is part of our enrichment program that is offered every other Friday from 12:30-3:00 p.m. for preschoolers ages 2-5 and off-track children ages 6-8. 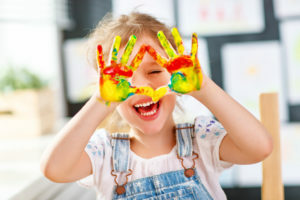 This program provides theme-based events where children participate in a series of fun activities that include story time, arts, crafts, games, snack time and much more Fantastic Fun! Fantastic Friday is a perfect edition to our preschool programs! Pay a week in advance and save $5.00 on each event! Enroll on a monthly tuition and save $7.50 on each event! Register your child & pay on the day of the event!